Father John Misty. Picture: Kathy Ociepa. FREMANTLE sure knows how to host a good music festival. The annual St Jerome’s Laneway Festival hit the port city on a near-perfect day yesterday, with thousands of punters enjoying the sun, the sea breeze, the incredible music and the good vibes. The festival made perfect use of the space in and around the Esplanade, with plenty of room for music-lovers to wander in between stages without getting bogged down in bottlenecks. But enough about the venue – how about that music? Laneway has made a name for itself in pulling together line-ups that may not be instantly recognisable on a commercial radio station playlist. And this careful selection is what made yesterday’s musical smorgasbord so damn good. Shoegaze idols Slowdive. Picture: Kathy Ociepa. The British bands provided some of the early highlights during the day, with Brighton punk outfit Dream Wife impressing the afternoon punters with their energy. London hard rockers Wolf Alice showed the crowd what mid-afternoon intensity looked like, with a massive sound rocking their fans to the core. Lead singer Ellie Rowsell was a sight to behold as she whipped the crowd into a frenzy, standing in front of her admirers in the crowd as she closed out the set in a fierce burst of energy. Meanwhile, Aldous Harding provided a significantly more relaxed vibe on the Spinning Top Stage. Whether it was the glare of the afternoon sun or the festival atmosphere proving unsuitable for Harding’s more intimate style of performance, her set failed to resonate, with many choosing to wander back to the main stage to see what The Internet had to offer. The Internet’s party-style set certainly got the crowd jumping, but it was hard to shake the sense that the brand of neo-soul pumping through the speakers had been done before. Over on the Future Classic Stage, Sylvan Esso started off slowly but as the crowd got bigger so did the performance. The duo thoroughly commanded the small space they had been assigned in front of the Maritime Museum’s Shipwreck Galleries, finishing with the track Radio as the crowd showed its appreciation. A scheduling clash made it problematic to see much of City Calm Down’s set, however the final two songs were nothing short of magnificent. The band members, all dressed in black, managed to create a huge wall of sound with the baritone vocals of Jack Bourke reminding us of a younger Robert Smith. 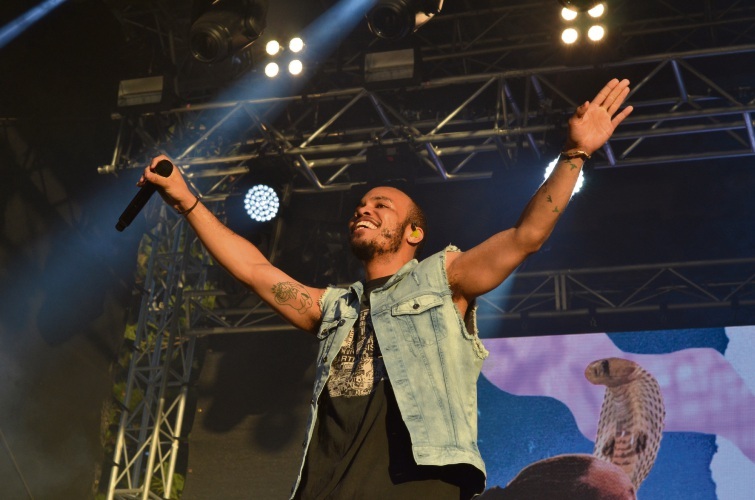 Anderson .Paak and the Free Nationals were without a doubt the band most people were there to see. News of the Californian rapper’s excellent performances from other Laneway Festivals around Australia were not exaggerated. 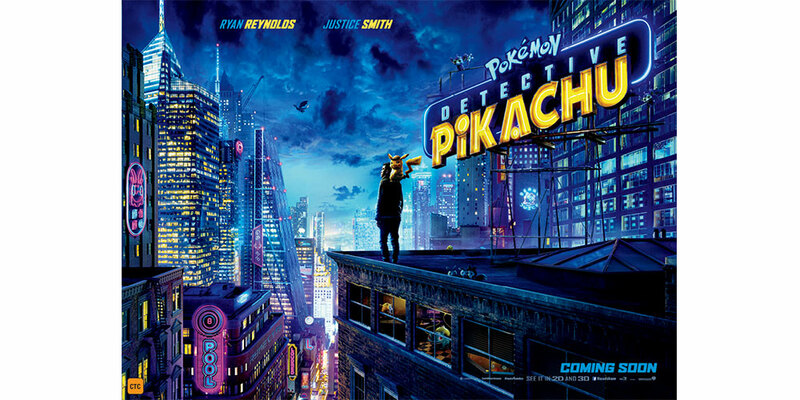 Anderson .Paak. Picture: Kathy Ociepa. He and his band hit the stage with an energy and enthusiasm fitting of an act that is ushering in the evening performances – and judging by the crowd reaction, there were no complaints from the fans. 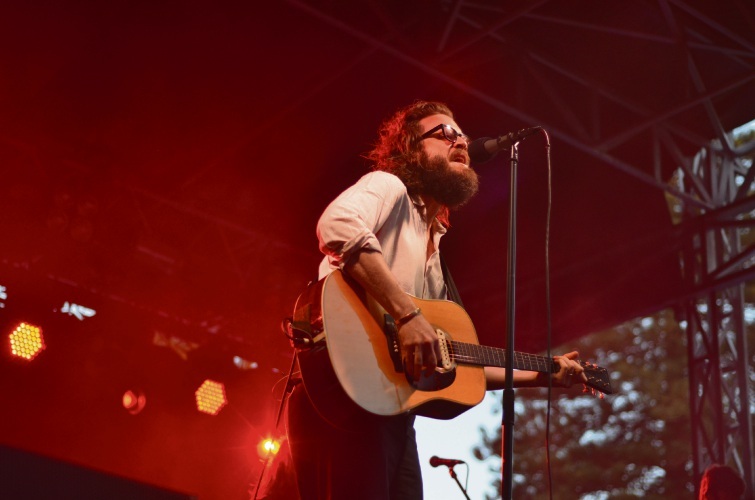 Then it was off to Father John Misty, who provided what was ultimately the set of the day. Kicking off with I love You, Honeybear, Father John led the crowd through an even mix of all three of his albums, with the newer material standing up to the live performance test. Father John lived up to his stage name for the title track off his most recent album Pure Comedy, when the band fell away while he performed the majority of the song solo. He led the crowd through what can only be described as a modern-day sermon, preaching to his believers via a poetic diatribe on humanity and religion before the band kicked back in with gusto. Finishing off with the marching band-like The Ideal Husband, Father John Misty nailed his set, leaving punters wondering where to next. Fortunately, British producer Bonobo provided the answer on the main stage. A highlight of the set was female vocalist Szjerdene, who filled in for Nick Murphy (aka Chet Faker) on the collaborative track No Reason – and arguably did a better job. Odesza served up an incredible set, with stunning visuals and on-stage theatre matching the booming sound that came from the Seattle-based electronic duo. The set included a team of hooded dancing percussionists, who added to the drama of the performance, and a mind-blowing backdrop that had the crowd mesmerised. Line of Sight was a set highlight, with the crowd in full sing-along mode. 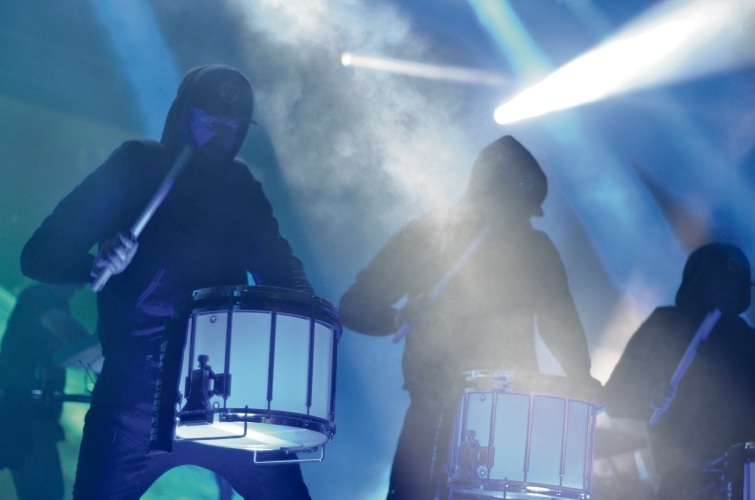 Odesza’s drum line. Picture: Kathy Ociepa. Canadian experimentalists Badbadnotgood attracted a significant crowd as the closing act on the Future Classic Stage, with their jazz and funk-inspired brand of music the perfect way to wrap things up. Main stage headliners The War on Drugs were an interesting choice to close the night. 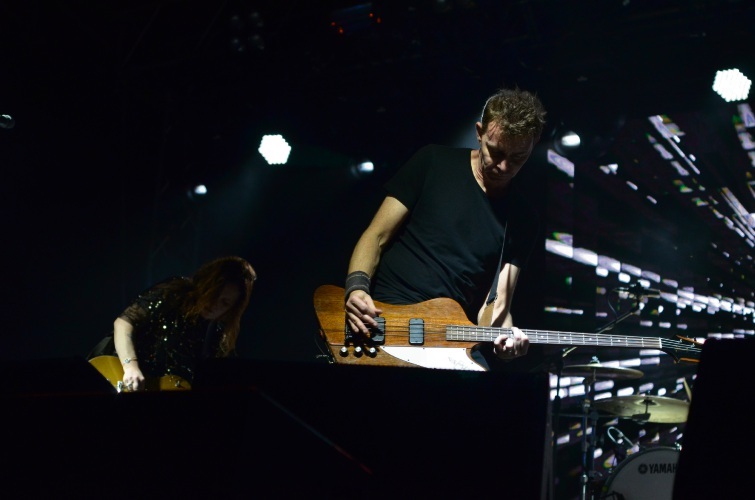 The Grammy-winning act sauntered onto the stage and immediately looked at ease playing a strong set list from a back catalogue that stretched back more than a decade. The War on Drugs. Picture: Kathy Ociepa. 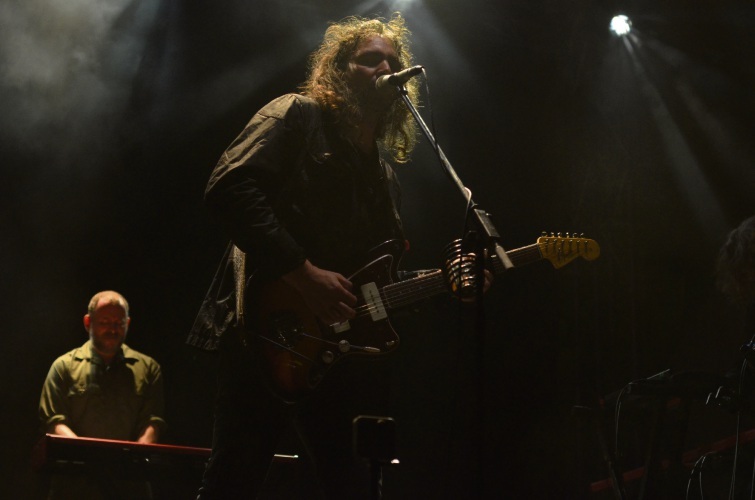 There was no doubt the fans enjoyed the set, however as a headline act, The War on Drugs did not have the same energy levels as the preceding sets. Despite the slight drop in intensity on the main stage, overall Laneway Festival proved once again to be a top-line event in a perfect setting – one in which the happy vibe matched the musical feast on offer.